Key Difference: The HTC Windows 8X sports a 4.3- inch S-LCD2 capacitive touchscreen that provides a pixel density of 342ppi. The screen is protected using gorilla glass 2, which makes it pretty durable and less prone to scratches. The phone is pretty slick and slim, weighing only 130 grams with the battery. 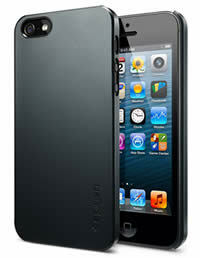 The iPhone 5 is the latest innovative product of the Apple Company. They have made the new phone slicker, thinner and lighter with even more packed features. iPhone 5 supports a 4-inch LED-backlit IPS LCD screen with 640 x 1136 pixels and 16 million colors. The phone also offers safety features such as corning gorilla class as well as oleophobic coating that keep fingerprints off the front screen. HTC originally made many phones with Windows OS, before shifting its products to Android for drawing in more customers and profits. 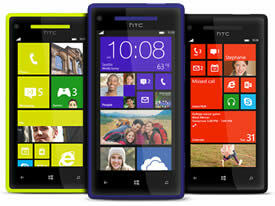 Recently, HTC has put focus on helping Windows boost its product range with the new HTC Windows 8X and the 8S phones. The phones are set to give direct competition to the Androids and the iPhones. The company has set out to prove that Windows can be just as stylish and productive as the other phones in the market. HTC has incorporated some of its best technologies on the Windows 8X. The phone was released in November 2012 and has been proven a success with many people. The HTC Windows 8X sports a 4.3- inch S-LCD2 capacitive touchscreen that provides a pixel density of 342ppi. The screen is protected using gorilla glass 2, which makes it pretty durable and less prone to scratches. The screen itself has an excellent resolution and provides more ppi than the iPhone, giving the users a crisp, clear and sharp display screen. The phone is pretty slick and slim, weighing only 130 grams with the battery. The phone is encased in a polycarbonate chassis that is also durable and does not scratch easy. The matte finish on the back provides a firmer grip on the phone. The power/lock key is located on the top of the phone, while the tray with pin release hole, a volume rocker, and a camera button is placed on the right side of the device. The left side is bare and the bottom holds the charging socket and the primary mic. The buttons are said to be a little too flush, making it difficult to locate them on the screen by touch and even harder to press them. Under the hood, the device is powered by 1.5 GHz Dual-core Qualcomm processor. It offers the Windows 8 OS, with the live tiles that are customizable based on the user’s preferences. The device offers 1 GB RAM and an internal storage capacity of 16 GB. This is one of the downfalls of the phone, as the 16 GB (minus the space required for internal software) is all the user gets for storage, as the device does not support SD cards. The device supports 2G and 3G networks in all areas of the world, while 4G is only available in certain countries such as the US. The device houses an 8 MP rear camera for taking pictures and a 2.1 MP front camera for video calls. The rear camera comes with autofocus, BSI sensor and LED Flash, while the front camera has unlta-wide angle for allow more details to fit in the picture. The Ultra-wide angle is one of the newest features that is being offered in very few phones. Similar to other HTC phones the device comes with Beats Audio enhancement to make listening to movies and audio an unbelievable experience. In addition to Beats Audio, the device also comes with a built-in amp. The device has a non-removable 1800 mAh battery, a little less than the other phones available on the market. The major downfall with a Windows phone for many people is the lack of apps. However, the number of apps available in the Windows Store is growing slowly and should not be a problem for a long time. The Apple iPhone 5 is the successor to the company’s Apple smartphone flagship. It is one of the most popular products that have been constantly boosting the company’s sales. Though, Apple originally was assumed to have the most technologically innovative products, many other companies have stepped in to give it good competition. The iPhone 5 is the latest innovative product of the Apple Company. They have made the new phone slicker, thinner and lighter with even more packed features. Apple claims that the iPhone 5 is 18% thinner, 20% lighter, and has 12% less overall volume compared to the iPhone 4S. iPhone 5, bigger than its predecessors, supports a 4-inch LED-backlit IPS LCD screen with 640 x 1136 pixels and 16 million colors. The phone also offers safety features such as corning gorilla class as well as oleophobic coating that keep fingerprints off the front screen. iPhone 5 comes with the latest Apple iOS 6 that is upgradeable to 6.1. It includes a 1.2 GHz dual core Apple A6 processor, PowerVR SGX543MP3 and 1GB RAM. The phone is available with non-expandable 16, 32 or 64 GB internal storage capacity. The problem with the new OS is that many features that work only with the iOS 6 do not work in certain territories and Apple has a rolling program that it said will take time to implement across more regions. The phone can also act as a hotspot and can share internet connection over WiFi, Bluetooth, or USB. Similar to the older versions, iPhone 5 is equipped with Siri that allows the user to operate the iPhone via vocal commands. However, Siri has been improved to and supports additional features such as being able to make restaurant reservations, launch apps, make twitter updates, search the internet for queries, etc. iOS 6 features several new and/or updated apps, which includes Apple Maps and Passbook. Apple Maps has also faced hostility as it does not execute properly and has also been known to give wrong directions. The Passbook app is able to retrieve documents such as boarding passes, admission tickets, coupons and loyalty cards. The phone also offers a new charging port, which is much smaller and more compact compared to the old chargers. They will also require a converter if you want to use them with the old charger, docks and other accessories. The phone has also shifted the headphone jack to the bottom of the phone. The information for the detailed table about the two phones has been taken from HTC website, guardian.co.uk, Apple website and GSMArena.com. Accelerometer, three-axis gyro, proximity, compass, ambient light sensor. Bluetooth v4.0 with A2DP, Wi-Fi 802.11 a/b/g/n, dual-band, Wi-Fi hotspot, micro-USB v2.0. GPRS, EDGE, WLAN, Bluetooth and USB. Black & Slate and White & Silver.